Orange Beach is centrally located on Alabama’s Gulf Coast, between Gulf Shores to the west and Perdido Key, Florida to the east. Orange Beach’s prime location along the area known as the Emerald Coast and numerous opportunities for charter fishing, pristine beaches, first-rate eateries, and close proximity to some of the best attractions on this area of the coast have combined in recent years to make it one of the most popular choices for vacationers. 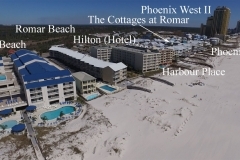 Orange Beach’s shore is lined with a number of Gulf-front condominiums with amenities that go above and beyond the basics. Perhaps the most famous and distinctive is the Turquoise Place towers, which are lined with shimmering blue-green glass and offer some of the most spectacular views around. Of course, the Gulf of Mexico isn’t the only area offering water frontage for condominiums. 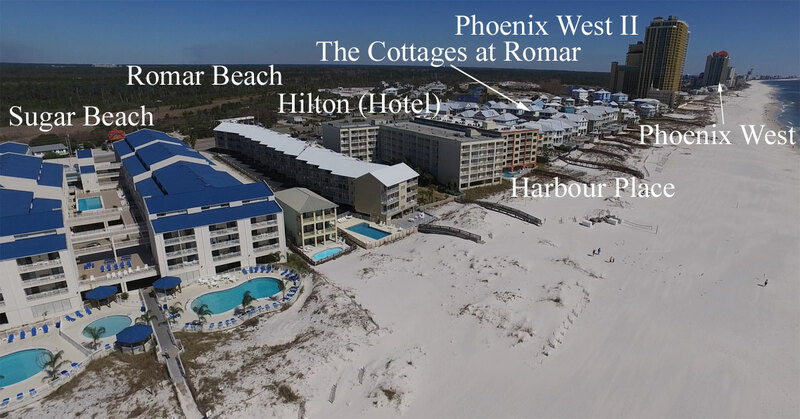 The popular Caribe Resort sits on the Old River and looks out over the Perdido Pass. Caribe’s location, like that of so many other river-front or bay-front condos, enables it to provide onsite boat slips for visitors and residents. Of course, not all of the condos in Orange Beach are designed for vacationers. The upscale Opal condominium is one of several rent-restricted developments in Orange Beach, which means these condos are only available for long-term leases as a secondary or even a primary residence. Sugar Beach is located in the western area of Orange Beach, right on the area’s famous white-sand beaches and just across the street from Gulf State Park. This part of Orange Beach is secluded, quiet, and perfect for a relaxing getaway, far from the hustle and bustle of everyday life. Sugar Beach is right next door to Romar Beach and down the street from Phoenix West II.